Ireland, the emerald isle, one of the most popular tourist destination in the world. After trying to organize a tour of it on a couple of separate occasions I finally succeeded just a few months ago. And I have to say I absolutely loved it, so I decided to share some of my impressions. However, I’m not going to write about ancient ruins and monuments, or about the green and pleasant landscape, not even about tasty Guinness or lovely Irish pubs. 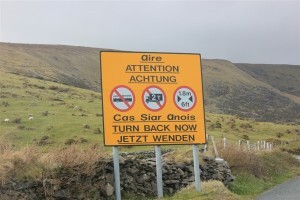 No, I’m going to write about the most fun aspect of our journey, Irish roads. Here, I have to admit that I am a road geek and I absolutely love driving (in case you hadn’t picked that up from my American journeys). I’m sure travelling by train is relaxing and travelling by bus lets you meet some fellow travellers but there is nothing better than your own set of wheels. We started our trip in a car rental office in a suburb of Dublin. Nothing exciting or worth really writing about but in no time we were crossing the middle of the country on one of the new and empty Irish motorways. It was the first big surprise. Being used to busy British roads I just couldn’t believe how empty a major highway can be. There were quite long moments on our way to Cork when we couldn’t see a single car in front or behind us. Pure joy to drive. Still, a motorway is a motorway, nothing really worth shouting about (maybe apart from some spectacular Alpine stretches in Switzerland). It was the smaller roads which provided some real fun. Our first encounter with a proper Irish road was R668 across the Knockmealdown Mountains linking counties Tipperary and Waterford. Due to inclement weather (to say the least) we couldn’t really admire the apparently great views but the drive itself was still fun with all the tight corners and moss covered branches hanging over the road. 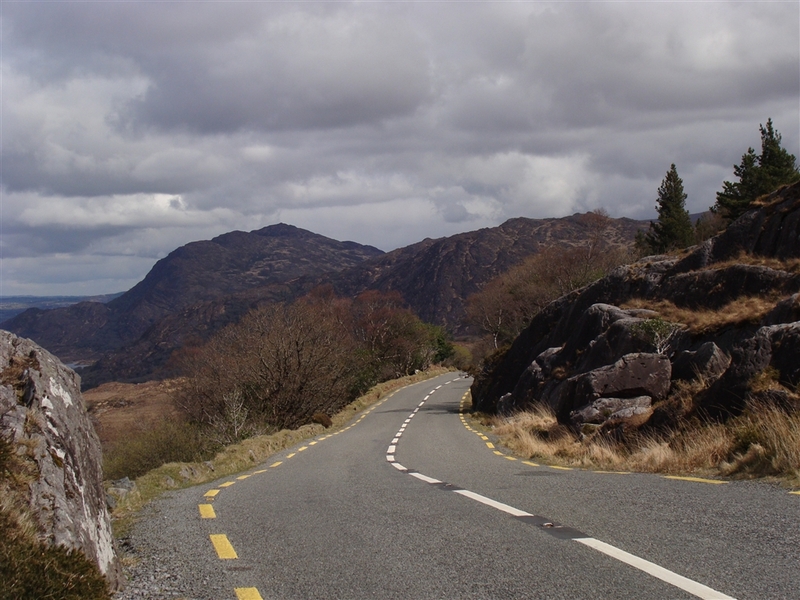 For the next two days we toured the spectacular counties of Cork and Kerry. Apart from being absolutely scenic they happen to contain some of the most twisted and fun to drive roads on the whole island. 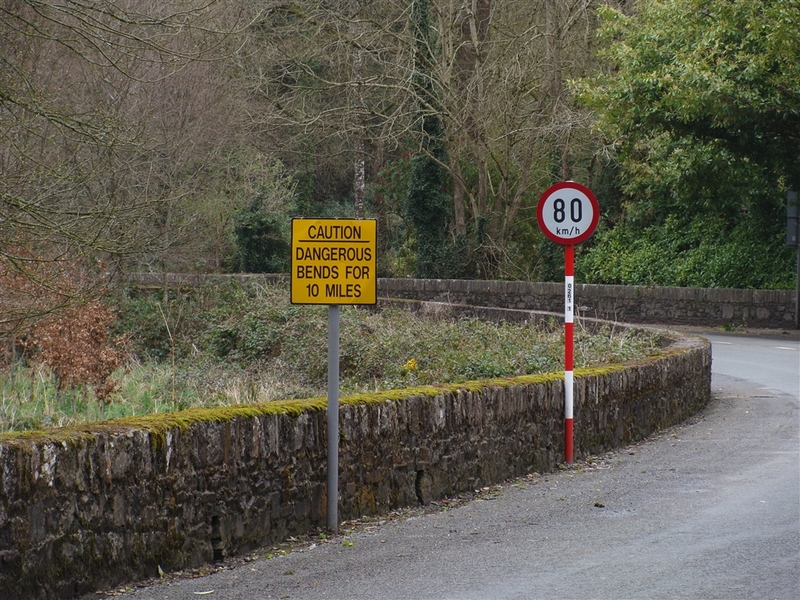 Here I have to mention one of the best aspects of Irish local roads, their high speed limits, totally irrespective of the road quality. Generally the national roads have a 100kph limit while local roads (however twisty or narrow, or both) 80kph. Seriously, 80kph on a narrow goat path. That’s what I’m talking about. There is never a need to slow down just for the limit’s sake, you can concentrate on taking those nice corners at a proper speed. 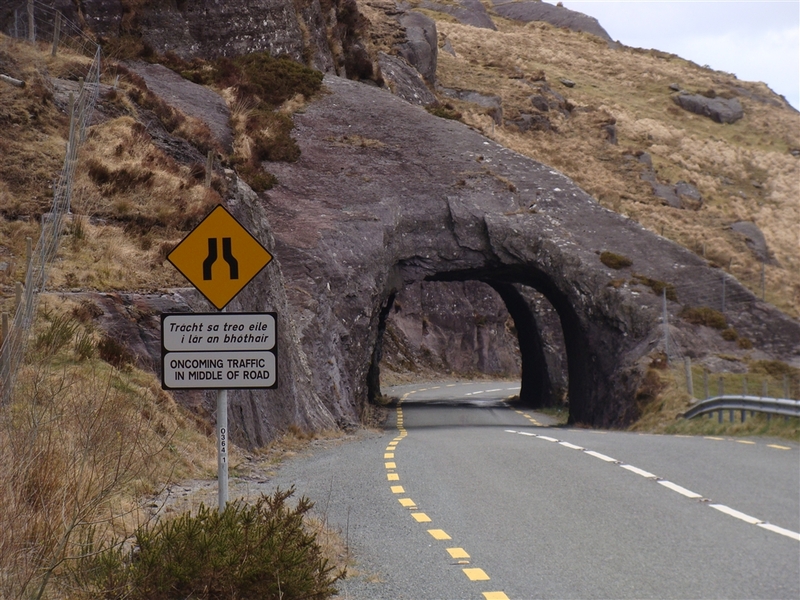 Some of the best stretches I could recommend are, for example, the road leading to Healy Pass (R574), the road leading to Mizen Head (R591), Ring of Beara (R571 and R572), the N71 via Turners Rock Tunnels and then Moll’s Gap, or the roads of the Dingle Peninsula (especially R569 via Conor Pass). All these roads (plus many other, even smaller ones) are fantastic real driver’s roads. Twisted but well paved and mostly empty (at least off-season). The few locals we encountered drove really fast and quickly disappeared in front of us. The even fewer slow drivers let us overtake and smiled politely rather than create rolling blockades like in some other countries. Of course things get much less fun in the height of summer when hordes of tourists unaccustomed to the narrow mountain roads create havoc and totally spoil the fun. The next day we crossed the Shannon estuary (using the interesting local ferry from Killimer to Tarbert) and entered county Clare. Here the roads might be a bit less spectacular than further southwest but still the driving was a pure joy. On our way we stopped at the Cliffs of Moher which was the first place where we experienced a bit of the tourist traffic. Oh boy, some of the folks can be really annoying, driving 30 bloody kph and backing up even the farm vehicles. It really made us glad that we didn’t tour Ireland in the high season. Luckily the scenic roads across the fascinating Burren region (still in County Clare) were almost totally empty and fun to drive, we only encountered one single tour bus. After an overnight stop in Galway we entered another area of scenic roads, the absolutely magical Connemara. Our day in Connemara started grey and misty but it only added to the charm. By the afternoon the weather had improved and by 2pm we were experiencing proper sunshine. 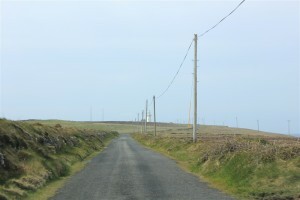 The roads of Connemera are as fun to drive as the roads of Kerry or Cork. 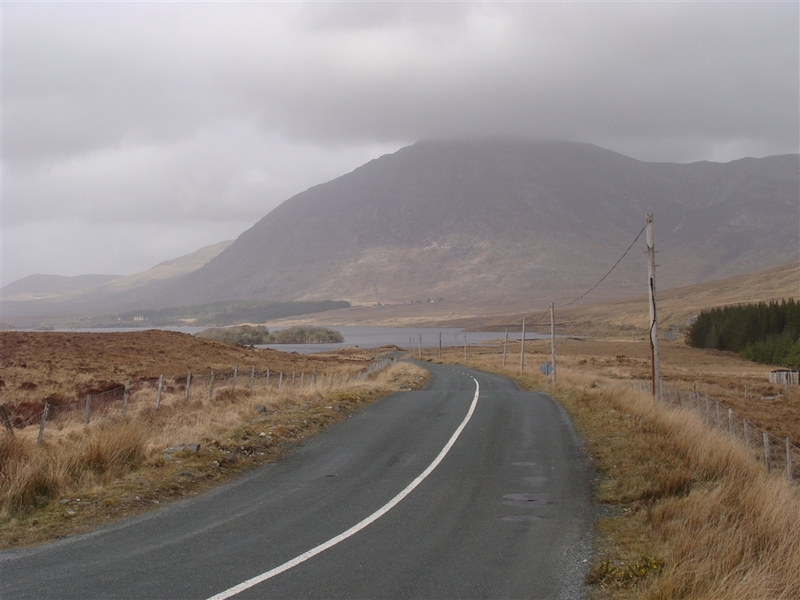 Some of the best stretches are twisty roads along the coast (R340, R341, R342) or the relatively straight R344 running inland along the broad Inagh Valley which reminded me of Glen Coe quite a bit. In fact the whole of Connemara reminded me of Scotland. The last part of our roadtrip was the smooth and fast drive across the whole island from Galway back to Dublin. It was another example of an excellent motorway almost completely devoid of traffic. Ireland really developed its road network in the last few years and you can now criss-cross the country on many brand new high quality roads. In fact Ireland has now one of the longest network of motorways per capita, most of them built in the last decade or so. Impressive achievement. But let’s be honest, as much as I am a road geek fascinated by modern developments the real treat were the local Irish roads. That’s where the fun and excitement is. In total we drove about 1800km ( over 1100 miles) in five days and it was a great driving holiday. In fact, probably on par with my favourite driving territory, the US. 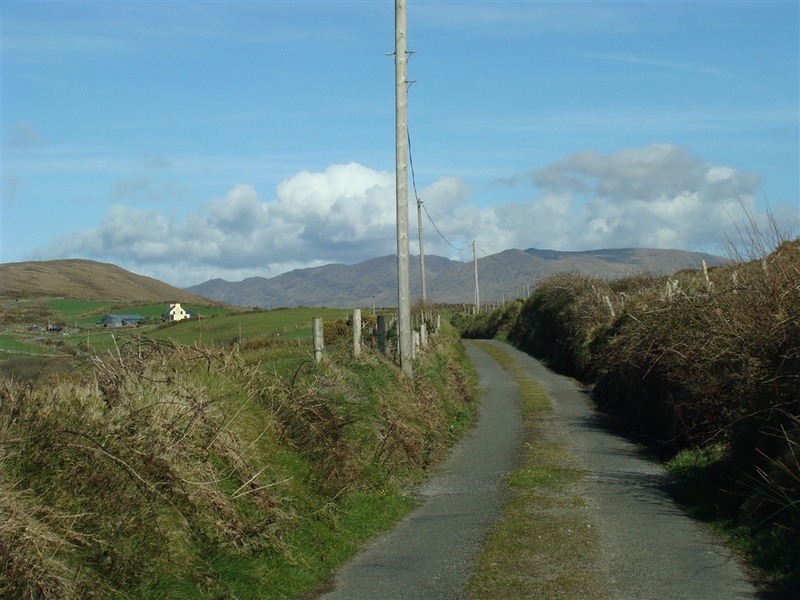 The roads of Ireland might be narrower but they offer great fun. Irish drivers drive fast and dynamic but also confident and, in my opinion, quite safely (definitely safer than in my native Poland). The only thing you have to watch for are fellow tourists, often identifiable by the sticker saying “diesel” or “petrol” on their cars’ fuel inlets. Give them a wide berth and have fun. This entry was posted in Uncategorized and tagged Burren, Connemara, Cork, Irish highways, Irish lanes, Irish roads, Kerry, Moll's Gap, Ring of Beara, Ring of Kerry, roads of Burren, roads of Connemara, Turner Rock Tunnels by Geogregor. Bookmark the permalink.